NanoLumens has promoted Doug Price from director of systems engineering to vice president of systems engineering, with responsibility for combining creativity with design and engineering in every installation project awarded to the company. Price joined NanoLumens in 2011 and has contributed significantly to the company’s growth. He is responsible for creating and maintaining C-Level relationships with Fortune 500 companies; the design and implementation of the automated quote calculator used by the entire sales team, the supervision of all installations throughout the United States, Canada, France, Brazil, Australia, U.K., U.A.E., and Singapore, inclusive of training local integrators, and the management of the company’s sales and systems engineering teams in the United States and the U.K. 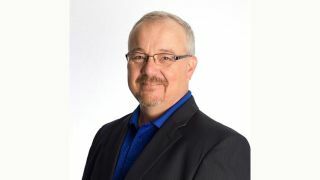 Prior to joining NanoLumens, Price served as senior field engineer, National Digital Billboard Services at Adaptive Micro Systems in Milwaukee, WI. Other previous experience includes the United States Navy, where he served as a data system technician, as well as sales, engineering, and operations management positions at Inacom Information Systems, Action Sign Group (ASG), and Robbins Sign Supply.